In case you have installed multiple operating systems and you are not being asked, which operating system you want to start. So here is a simple method, this method is only available to specific computers or laptops. Some of the BIOS has a feature to scan all available disks and partitions for available operating systems. Please follow steps to see, how can you select which operating system to start from multiple operating systems installed in multiple disks and partitions. Restart the computer and keep pressing F10. In your computer, the key might be different like it can be F1 or F2 or F12 or Del key depending on your computer manufacturer. 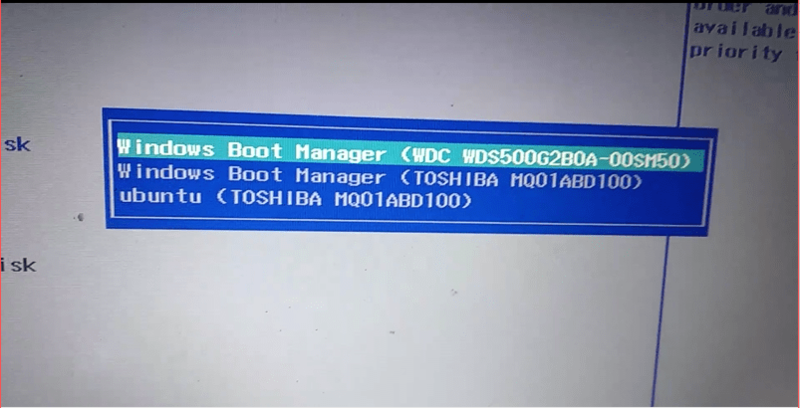 Go to “System Configuration” and scroll down to “Boot Options”, then scroll down again and select “OS Boot Manager”. Press “Enter” you will see the list of operating systems installed in different disks or partitions of your computer. Press F5 or F6 to move your required operating system on the top of the list. The operating system on top will be started after a restart. After setting order, press F10 to save settings. Again press F10 to save BIOS settings and select YES and press enter to restart your computer in the selected operating system.